Exceptional clarity at an affordable price. 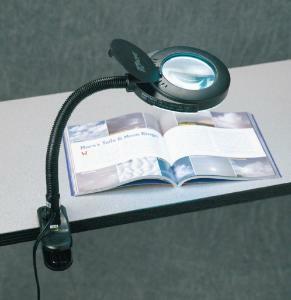 The Deluxe Magnifier Lamp is perfect for examining coins, stamps and specimens. Its compact size, powerful brightness and clarity also make it the perfect magnifier for model building, electronic repairs, circuit inspection, or any other activity that requires you to be able to see fine details.